For many years now Semaphore has been involved in the production and distribution of the Blue Flag; an organisation that highlights sustainability awareness on beaches and at marinas. Together with Blue Flag, the objective has always been to make the flags as sustainably as possible. 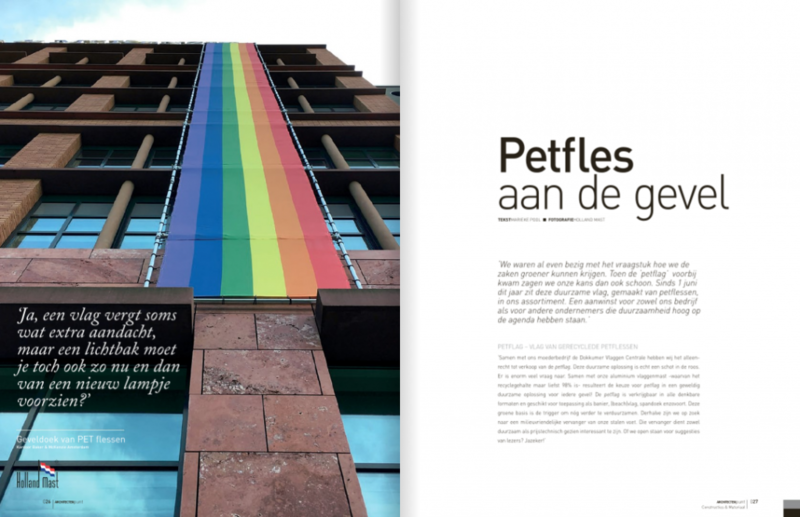 One dream was to make durable flags from recycled textile. That dream kick-started this unique “green” partnership with Dokkumer Vlaggen Centrale. DVC identified this need and demand of its client base. Furthermore, the company also feels it must use polyester responsibly, in light of the millions of flags that are manufactured each year. Following an inspiring session the decision was taken to jointly develop a sustainable solution. The most important caveat to that: the textile had to be sufficiently white for printing. 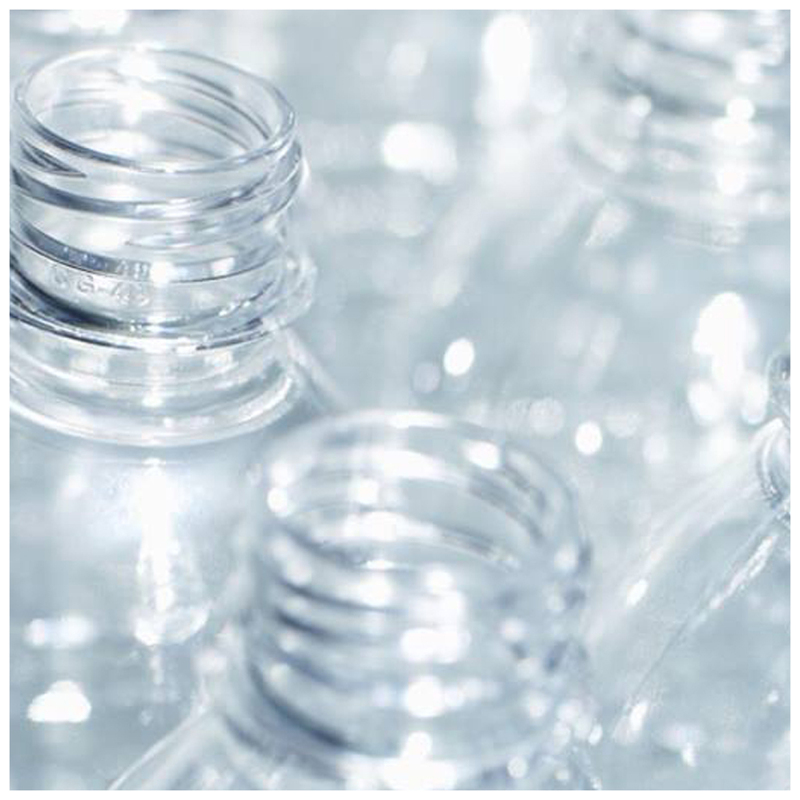 We found the solution in the exceptional 100% recycled PET bottle textile. The PETFLAG was born! CSR (Corporate Social Responsibility) is a topic that earns continuous focus and action. By following specific strategies we work towards making our organisation and products even more sustainable. As a CSR Netherlands partner, we are aware of the opportunities and possibilities that minimise the impact of our business activities on the environment, as well as those that maximise our societal engagement. The development of our sustainable products is nowhere near finished! In collaboration with various waste processors research is already being undertaken into the “most useful application” for our waste textile. A great deal of time and energy has been spent in attaining material re-use, but unfortunately that isn’t (yet) an option. Nevertheless, we are continuing to test all possibilities, and our goal is to be using recycled material by 2020. Dokkumer Vlaggen Centrale and Semaphore Signs from Schiedam are the first companies in the world to introduce flags made from recycled PET bottles to the market. A unique and innovative product, bearing a powerful sustainability statement. On Thursday 1 June a presentation will be held in Dokkum, with a number of prominent “green” speakers. CSR Netherlands, Plastic Whale and I-Did Slow Fashion Movement will share their perspective on sustainability, recycling and circular textile products. Textile designer Claudy Jongstra is also fully behind this sustainable initiative: both companies will enter into an innovative partnership with the artist for her new project, Waste-No Waste, in Groningen. Sustainable enterprise is a key factor at Semaphore and DVC. For many years now Semaphore has been involved in the production and distribution of the Blue Flag. “Blue Flag is an organisation that highlights sustainability awareness on beaches and at marinas. Together with Blue Flag, the objective has always been to make the flags as sustainably as possible. 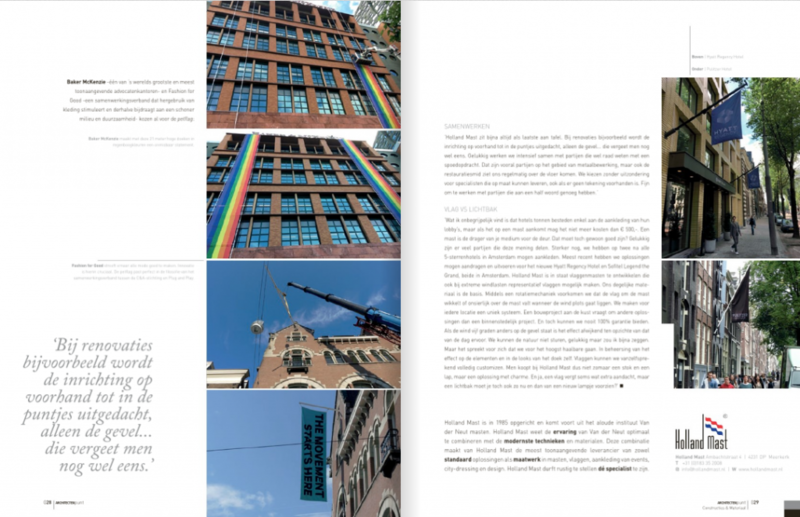 One dream was to make the flags from recycled textile,” says Jaap Groen, director of Semaphore Signs. The first PETFLAGS® made using PET bottle textile will be officially handed over at the debut to launching customer Jumbo Dokkum.